Over the next four months Kidzu will have it's own kid scientist named Fran. Fran is an eighth grader and she is doing her own research project on beekeeping and the importance of bees. Fran has worked with local organizations such as Burt's Bees and Bee Downtown in order to gain a new insight to the importance of pollinators. As Fran works alongside her mentor and Kidzu's creative director, Melanie Hatz-Levinson, Fran will post blog posts through the Makery blog. Check for weekly updates and photos about Fran's adventures as she explores the local area and discovers the importance of bees! This is Fran suited up and ready to take care of her bees! Fran and her Mentor Melanie from Kidzu! Fran and Leigh-Kathryn Bonner from Bee Downtown! 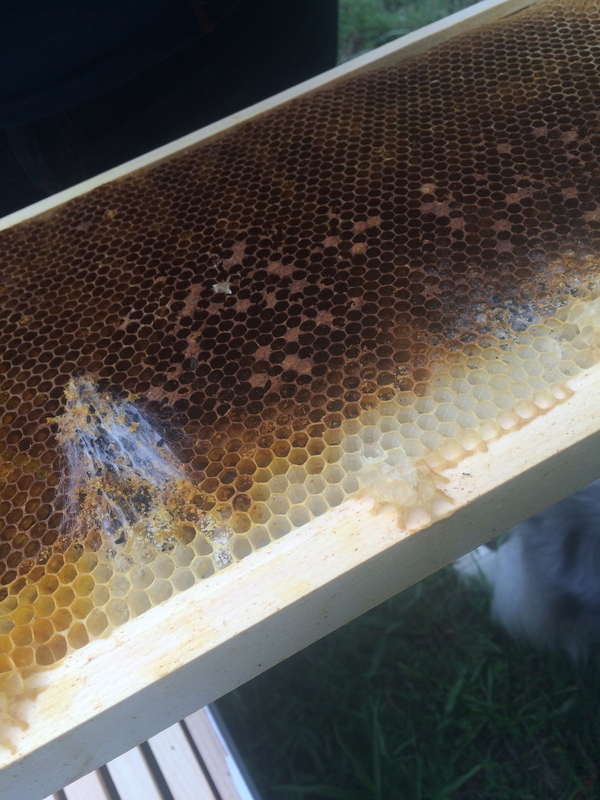 These are photos from Frans beehive! 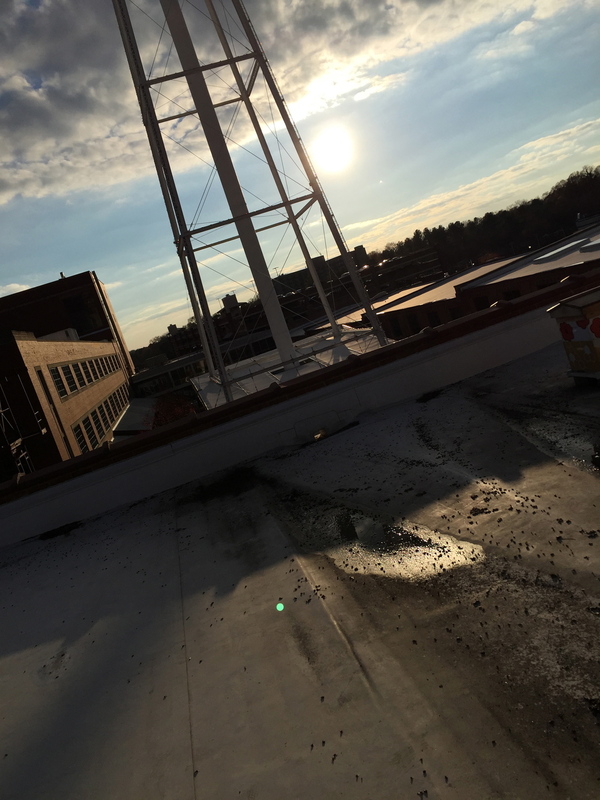 Check out the blog posts below! Hi! My name is Fran and I am a student scientist. During the second half of my school year I get to choose a topic that interests me, and then spend the next four months learning more about the chosen topic. 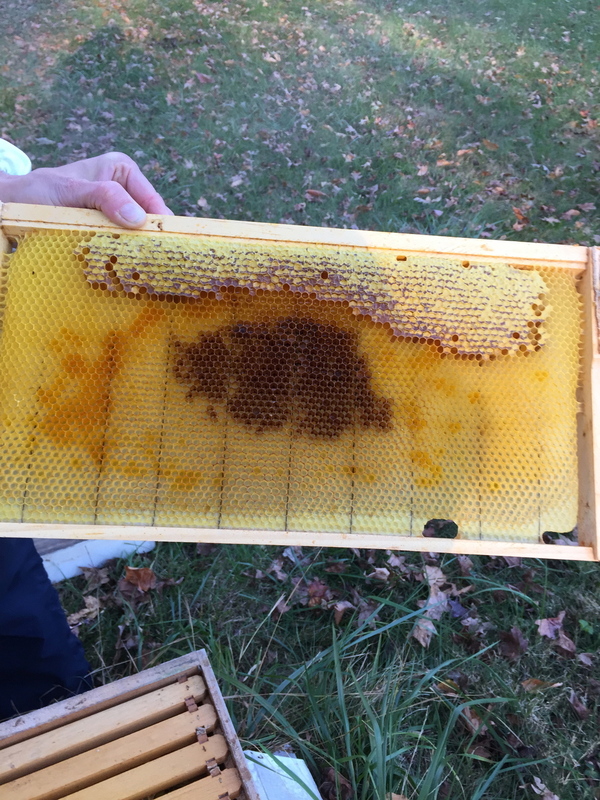 I have decided to choose beekeeping and the importance of bees as my research topic, because my family already has beehives at our house that I was taking care of, and it was a topic that was very interesting to me, which I also knew a lot about. 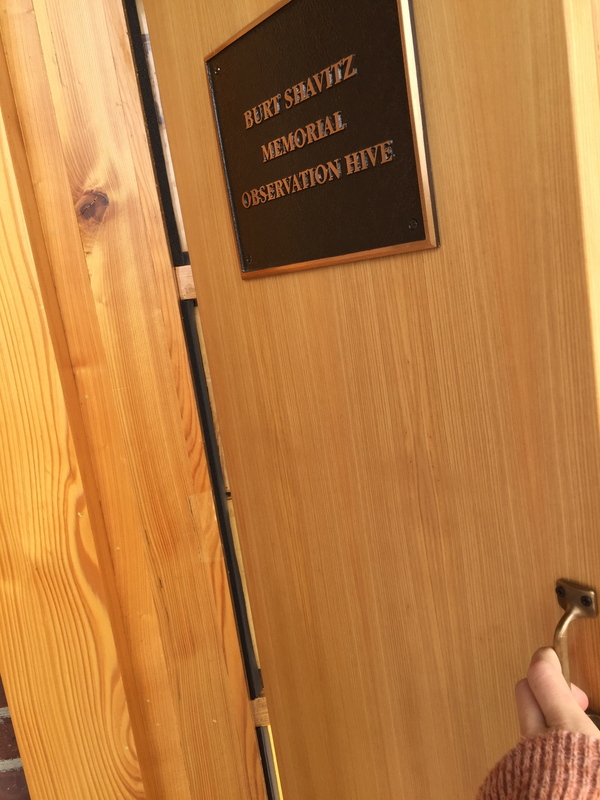 When I learned that Kidzu got a grant from the Burt’s Bees Greater Good Foundation to open up an exhibit about bees, I immediately wanted it to become part of my eighth grade project. One very important step that is included in the project is to find a mentor that I can learn from and who can help me with my project and experimental work. My mentor is Melanie Hatz, who is the creative director at Kidzu. Melanie has helped me find places for my experimental work, and because of that I have learned about so many places in the Triangle that serve educational purposes about bees. I also have been working on blog posts that I will be posting on their website to get people excited about the upcoming exhibit and all of the other option around them to learn about bees. My mentor gave me a list of places to visit in order to begin my research. I started with the Museum of Life and Science. I decided to visit this museum because they had a very interesting exhibit on bees and pollinators. Outside of the butterfly house they had recently added a butterfly garden with a short paragraph about the importance of pollinators in our lives. Inside the butterfly house there is an insectarium with more information about bees and other pollinators. There was also a lot of great photography that is worth going to see! One of the other places I visited was Burt’s Bees World Headquarters. 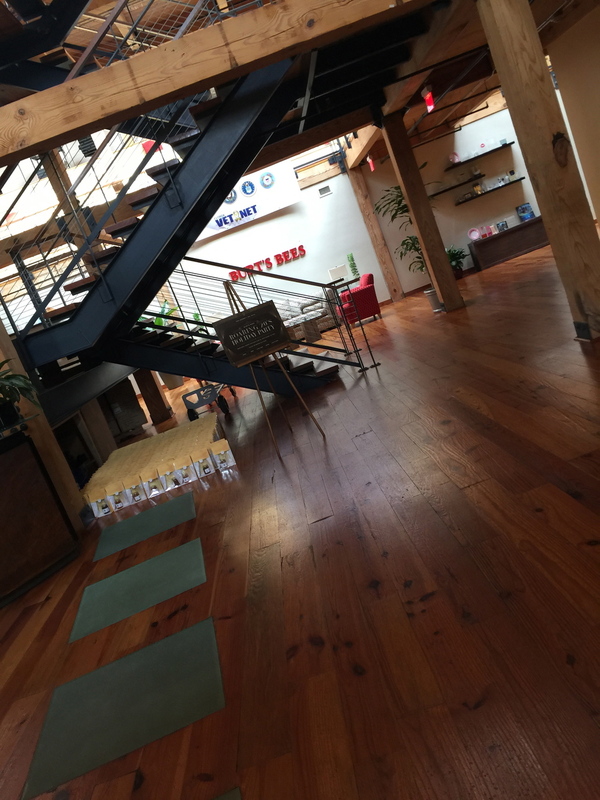 I got a tour of Burt’s Bees World Headquarters, where I learned about all of the work that goes on in their work. They had frames from a hive on the rooftop taken down and put with other frames so that people were able to observe the hive in action. By looking carefully, I was able to find the queen bee, which had been marked with green so that she was easier to identify. 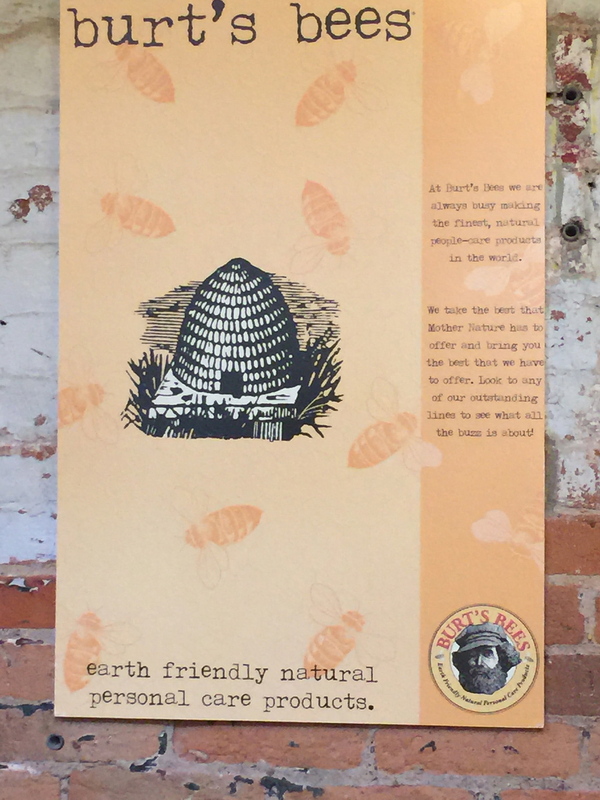 The hive had been built as a memorial for Burt the Beeman, who was the inspiration to start Burt’s Bees. 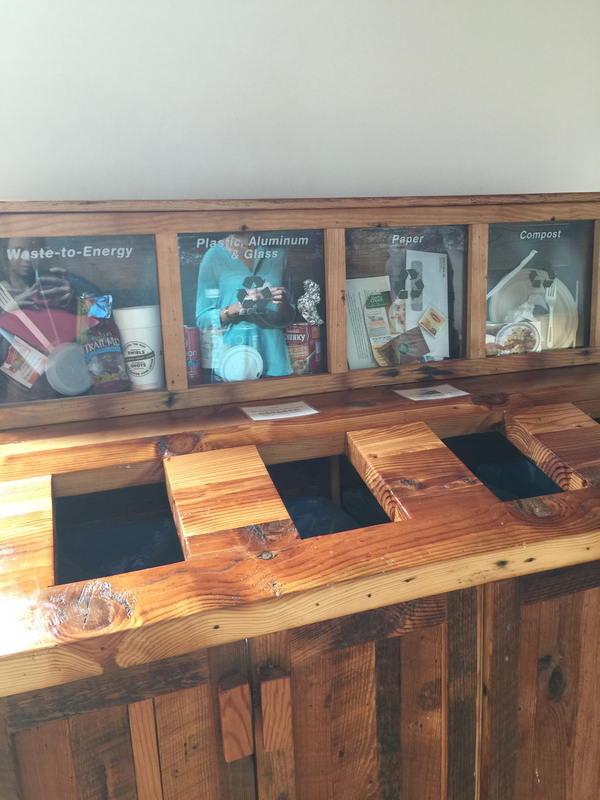 Inside Burt’s Bees, they had a little area with some of their products and about them. By visiting Burt’s Bees, I was able to learn about how much beeswax can do and how important bees are to our everyday life. Recently I visited Bee Downtown, which is a company started by Leigh-Kathryn Bonner, which sells rooftop hives to companies in downtown Durham and Raleigh. Bee Downtown sells rooftop hives to companies who support bees and want to become more involved. Leigh-Kathryn had always been interested in beekeeping because the majority of her family was beekeepers. She started Bee Downtown as a small business, which grew and grew. Bee Downtown had five hives on their own rooftop, and a dozen other hives around downtown Durham and Raleigh. 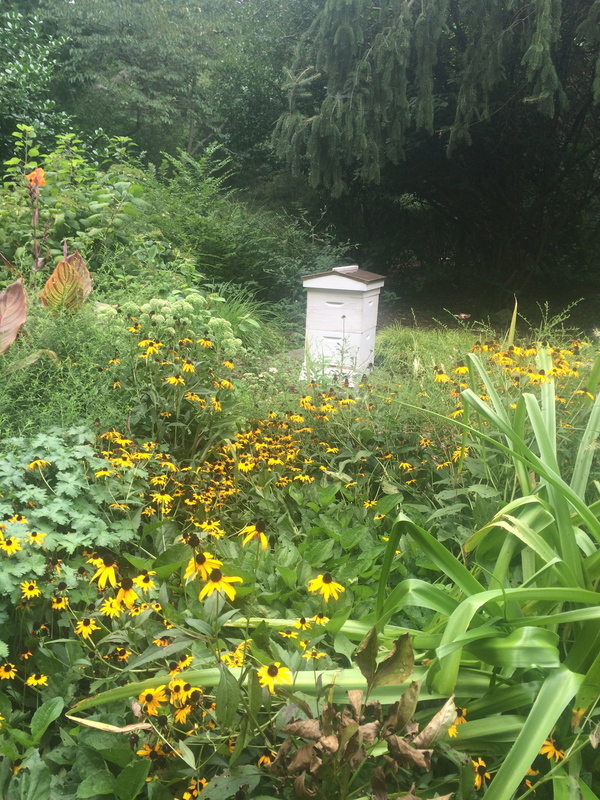 Bee downtown helps to promote beekeeping in urban areas where not much pollination is occurring. The bees are strategically placed downtown so that they have easy access to water. 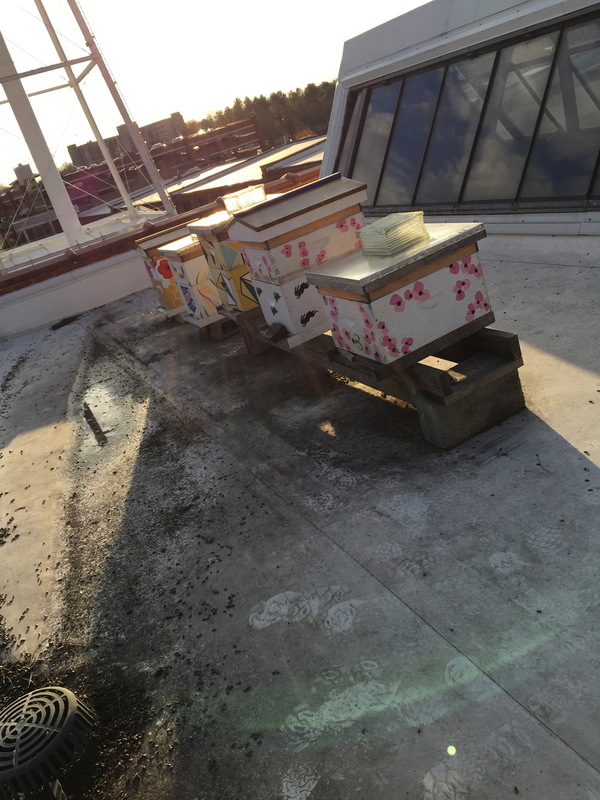 Another great thing about rooftop hives is that they help to pollinate windowsill plants that would not get pollinated otherwise because there is no nearby hives. After Leigh-Kathryn showed be around Bee Downtown, she took me to a grassy area across the street. In the small field was almost 50 christmas trees, each one representing a company or nonprofit in Durham. The trees were judges to see which was the best, and the winner got a prize of $5,000. Bee Downtown’s tree has flowers, bees and hives all over it. At the bottom of the tree was sihs showing everything that we would not have without bees. I was very surprised by some of these signs so I decided to do some more research on what bees pollinate. I learned that without bees, there would be no apples, cherries, almonds, blueberries, cotton, cantaloupe, potatoes, celery, cashews, and many more everyday foods. 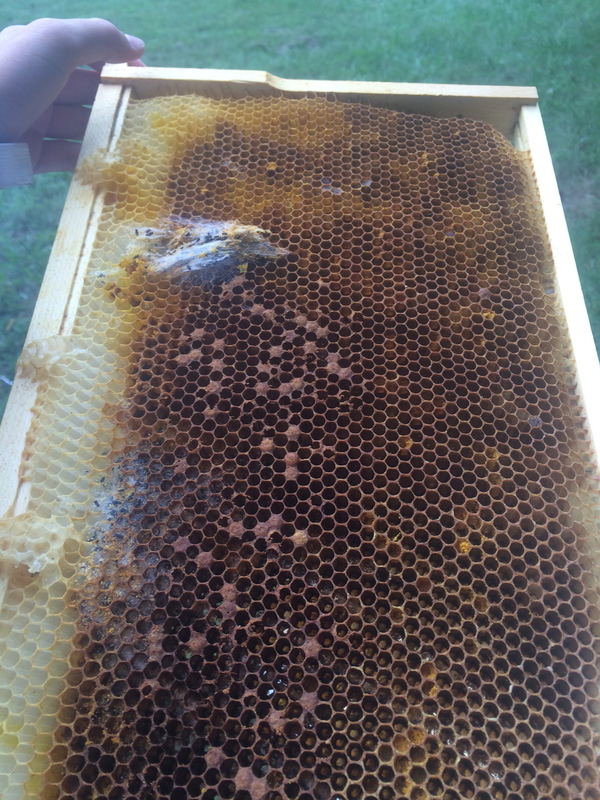 Did you know that bees go into hibernation over the winter? This winter I will be just like a bee, I will be traveling to Switzerland for three months where I will learn about Swiss culture and ski every day! Because I won’t have access to internet while I am away, I will write back postcards containing new or interesting facts about bees I might learn. While I was away, Kidzu made a lot of progress on the upcoming bee exhibit. They made plans for the indoor bee exhibit and the outdoor pollinator garden. The outdoor learning garden should begin being built in late May, and should be finished by late June. The indoor play hives has already been built, and other parts of the exhibit (such as costumes) will be in Kidzu as soon as they are ready. I was lucky enough to help with all steps of building the play hive. I began by cuttng out the templates which were used to find where each layer of blocks should be placed to make it look like a bee hive. I then helped to sand and wipe down the cedar blocks which make up the hive. Then next thing I did was drilling and countersinking the wood blocks. I think I enjoyed this part the most because I did it the most so I got into a rhythm and was more sure of what I was doing. Finally, I helped to set the cedar blocks on top of the existing layers. Although the exhibit is not complete yet, I encourage you to come to Kidzu and check it out because it is really fun and has a lot of interesting information. We are so proud of Fran for all of the hardwork she has shown throughout her research project. She recently presented her final presentation to her peers and the results were amazing. Fran has been an amazing student scientist to work with and we enjoyed having her new and exciting ideas during the building of the Bee Exhibit. We hope you come out and celebrate her work as well as our new Bee Exhibit when it opens this summer! If you want to become a student scientist as well you can contact us at makeryblog@gmail.com or by coming into Kidzu and speaking with any of the Makery fellows. We are excited to hear your ideas!